Earlier today we released the DNN 7.2.0 Beta on CodePlex. In 7.2.0 we have been focusing on just a few features and a large number of bug fixes. We have also been working closer than ever with community members to incorporate community contributions into the platform. Below is a list of some of the major features that are coming in this release. Take a few minutes to download the beta and give us your feedback. A few minutes of your time now can help us make the release that much better. Also, if you find an issue, consider submitting a pull request along with logging the issue. We’ll automatically enter you into the DNNCon Bug Bash. Who knows, you just might walk away with a brand new 64Gb Surface 2 tablet for your effort. DNN 7.2.0 includes a number of features which are targeted at the application users. All of these features are great enhancements to existing functionality that makes your job of administering your DNN site just a little easier. Give them a try and let us know what you think. The Gravity skin (and default website template) was redesigned to use the Bootstrap 2 framework. The new skin provides a fully responsive design out of the box which allows the skin to be used for a wide variety of device screen sizes. This skin provides a great example for other designers who are looking for examples of using Bootstrap or responsive design with DNN. This feature enhancement was created by the awesome team at Arrow Designs. Special thanks to Ralph Williams and Henry Tavarez for their hard work on this enhancement. The SQL module has undergone a complete overhaul in DNN 7.2.0. Supe rUsers now have the ability to save frequently used queries to aid in performing common database tasks. 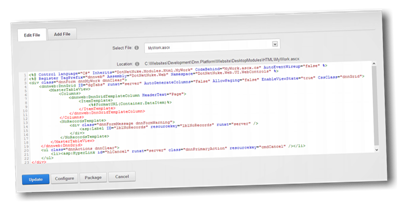 The module incorporates the CodeMirror code editor which provides syntax highlighting and other advanced editing features. 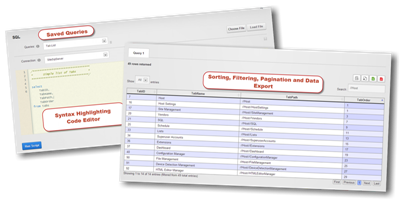 In addition, the results grid was completely rewritten to provide sorting, pagination and data copy and data export capabilities. This feature is still under development to add in some CSS styling to give it a clean, modern look in keeping with the rest of the admin UI. Even though it can still use a little love from our designers, please give this feature a good workout as all of the functionality is working. This feature enhancement was contributed by longtime community members and DNN MVPs Vicenç Masanas and Peter Donker. 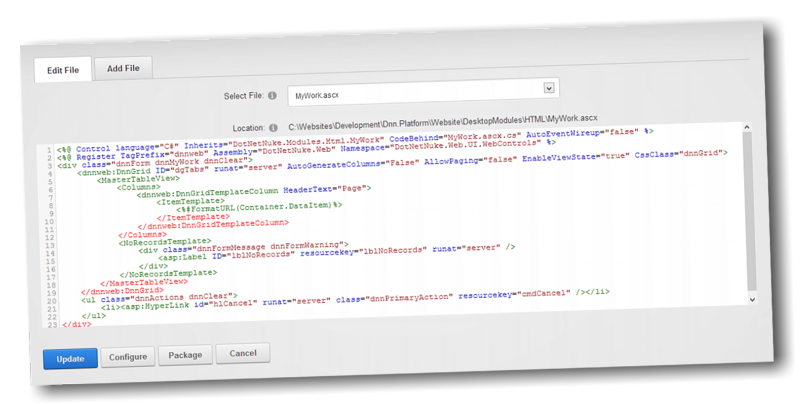 The DNN Module Creator makes it easy to create and edit modules within your DNN installation. The module adds a syntax highlighting code editor, and easy to use predefined templates that make it simple to create custom extensions in just a few minutes. This module was previously available on CodePlex but has been fully incorporated into DNN and enhanced with even better capability than before. 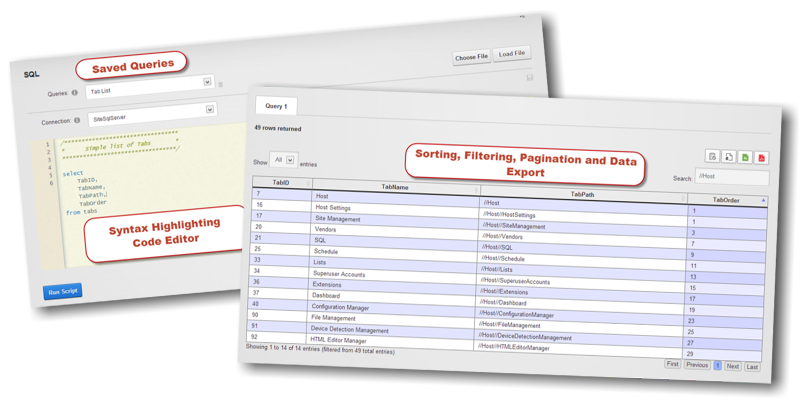 DNN 7.1 introduced a completely overhauled search engine. 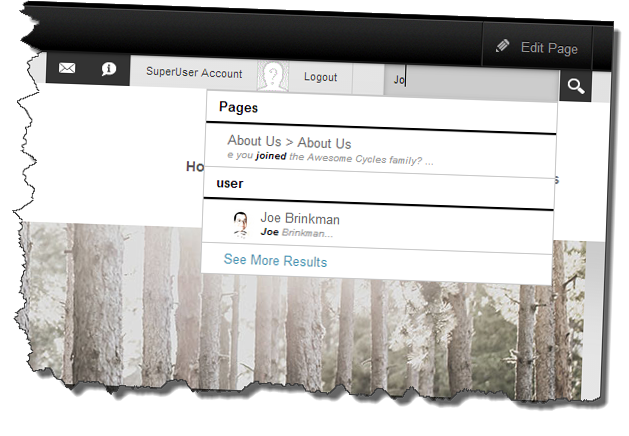 DNN 7.2 enhances the search engine to include a new user search feature. 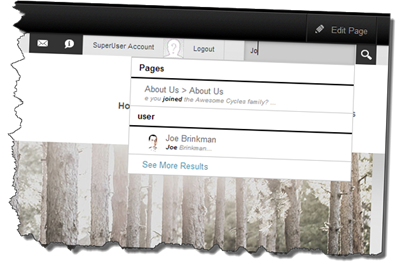 Now you can easily search for users by their name or their user profile settings – just like the major social networks. As always, users are in complete control of how much or how little of their profile to make public. With the Search Results module it is easy to determine exactly which types of search results will be displayed. If user search doesn’t make sense for your site then it is easily disabled. If you are a DNN developer we have a lot of feature enhancements in the beta to help make your life easier, and we have a few more that will be showing up after the beta so make sure you are keeping up with the Nightly Builds to see all the latest changes. As we get closer to release we’ll work on getting the developer documentation updated to show you how you can take advantage of these features in your development. These are but a few of the many enhancements and bug fixes that make up DNN 7.2.0. I urge you to take a look and see what will be coming when we launch DNN 7.2.0 in November. Also, if you have a minute, please thank the awesome members of our community who have contributed to make this a really special release. Community contributors include: Peter Donker, Vicenc Masanas, Henry Tavarez, Ralph Williams, Brian Dukes, Brandon Haynes, Stefan Cullman and Sebastian Leupold. It’s not too late to get involved and add your name to the list. Sounds like some nice features. Any plans on moving the skin to bootstrap 3? I agree with Robert. It's great that DNN has finally adopted BootStrap, but why target an already outdated version? I've been using Bootstrap 3 with great success for several months. BootStrap 2 and 3 are not 100% compatible and it would be wise to plan for the future instead of getting the DNN community trained up on a version that is already on the way out. I know some people will appreciate the Module Creator, this will definitely lower the barrier to entry! I also like the idea of saving SQL queries, and maybe we could build a shared library of scripts for the community?! What date in November do you plan to launch 7.2? Where can I find the list of bug fixes that are included in 7.2? I also want to put my vote in for BootStrap 3 instead of 2. Samyeli Villaları site içerisinde olup 28 adet müstakil konuttan oluşmaktadır. Site içerisinde havuz bulunup, her villada 3 adet yatak odası, 2 adet banyo, mutfak ve mermer şömine vardır. Site içi taş yollarla çevrilidir. Samyeli Villaları Kuşadası’nda 13000m2 alana sahiptir. Balkondan Kuştur Plajını, Adaland Su Parkı ve Kuştur Vadisinin eşsiz güzelliklerini izleyebilirsiniz.Evlerimizi incelemeniz için olanaklarımızı okumalısınız. Any updates on moving the gravity skin to bootstrap 3?